At first, all John Milkovisch wanted in 1968 was a covered patio where he could drink his beer at the end of the day. But a bigger idea was brewing. For years, he had been saving his empty beer cans. Over time, Milkovisch’s love of beer and work with his hands — he was an upholsterer — fused into one project. 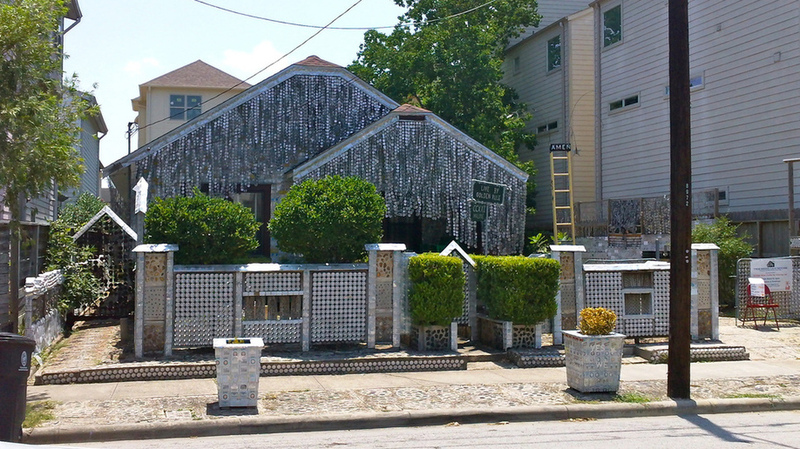 In his retirement, he covered his entire home with beer cans — all different parts, in various shapes and functions. It’s that more than 50,000 cans were used. The Houston home is now dubbed the and is run by a local arts organization.